REMEMBER: Lilacs…dandelions…daffodils…mayflowers (baskets left on the door by local children)…the many shades of green…green slowly, slowly green, slowing rising up into old trees trunks, branches branching out, opening spreading dabs of green color into across the woods, up and down the roadside…the gray world of bark and braches first suffused, transformed, bursting now in fresh GREEN across the clear blue sky…lawn greening, lawn growing (the annual May dilemma: to mow the lawn or let the wildflowers run riot? )…the ants return to the house…the bats return to the evening skies…the newspapers are filled with desperate cries of HELP! HELP WANTED…Shops and restaurants sprucing up for the first onslaught of tourists: Memorial Day. The county OPEN FOR BUSINESS once again. The weather in May often looks and feels like November in Door. Especially early May, the branches of the trees still bare, the temperatures at night falling below freezing. Overcast skies and sharp winds. 70 degrees one day. The same evening the heat goes on in the house and you find yourself reaching again for the comfort of old sweaters, afghans, so reminiscent of autumn. A back-and-forth time. A day of unseasonable warmth followed by three days of unseasonable cold. Followed by a string of warm days that bring back the Mayflies to the streets of Sister bay…batting the pesky little insects away from your face, eyes, nose, mouth in a mad dash from one’s car to the front door of Al Johnson’s restaurant for morning coffee, conversation, and the daily newspaper. May is a threatening month. Threat of severe thunderstorms and tornado watches. Threat of frost. Threat of the first summer guests–arriving two months too soon. Threat of seesawing temperature all month long. Wear cotton. Wear flannel. Wear wool. The month will wear you out with promises. A time for taking down storm windows, putting up screens, opening windows and shutting windows and opening them again. Perhaps a night or two of opening the bedroom windows wide to a warm May night…lying awake to a May moon…to night air smelling of woods and greenery to come…a light show of stars…and cool summer breezes after a surprisingly warm day. May—mostly uncertain. A month trying to get hold of itself in time. Trying to rid itself of the last vestiges of winter, be it cold temperatures, frost, wind, dismal skies; trying to move forward in warmth and the greening of the woods and fields. A time of turning over the garden. Fertilizing the soil. Preparing the earth for planting. Buying tomato plants–but not setting them out yet, not yet, not yet, if one respects the fickleness of frost in these parts. Tomatoes, NOT TO BE PLANTED (especially `up north’ in the county) until after Memorial Day–goes the local, native wisdom. Making rows, however, for onion sets and planting them. Digging trenches for potatoes. And planting them. Watching stalks of rhubarb take fire, explode each day in an extravaganza of jungle-green leaf. Cutting thick stalks of strawberry rhubarb by mid to late May. Ah, welcome back rhubarb custard pie: a first real taste of spring. 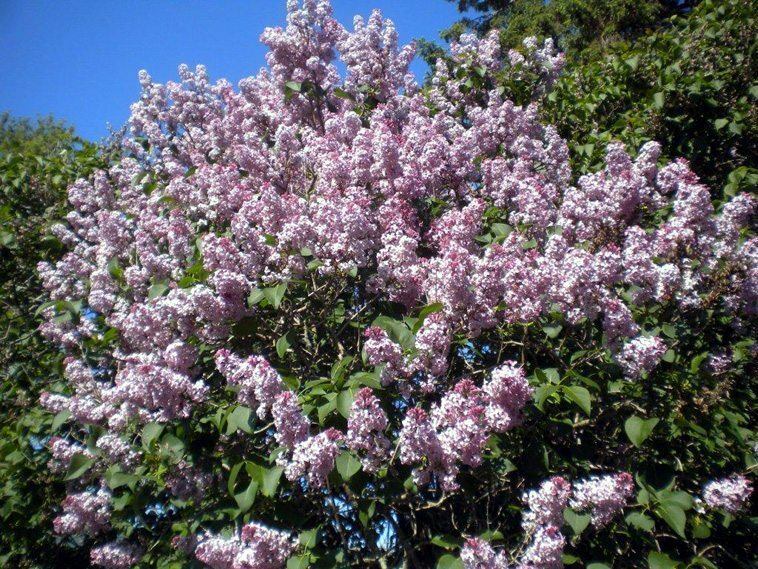 May—the intoxicating month of nature’s perfume…Lilac-drenching time. Bushes of blossoms invading the back yard, the wild roadside—lilac bushes gone wild, untouched, just THERE every May, in your face. Inhale, DEEP. Hold it! Ahhhhhhh… Here around the house, my entire grounds steeped in another scent as well, clouds of Lily of the Valley. Certainly “invasive”. I’ve never done anything but let them grow, take over. They’ve become my ‘lawn’. They exert pride of ownership, in spring, in my domain. Let them be. Let me be drugged all May on the breath of Lily Valley (inhale… hold… exhale…inhale…all hours of the day and night–especially night, coming home in the dark…seduced, attacked, surrounded so unexpectedly by such a captivating scent. For so precious a short time—once a year. Tarry. Momentary. A sweet reminder: brevity/beauty—life is blossom short. Bats and birds continue winging their way to old familiar places. Thrashers, rose breasted grosbeaks, gold finches, warblers, waxwings and hawks. And around dusk, the first sound of the whip poor will /whip poor will back in place. Porcupines appear—too close for comfort….on the driveway, in the garage, rummaging near the house. The ugliest, dumbest, most useless creature. I recall a neighbor once taking a baseball bat to one: “That’s the only thing they understand.” Or a rifle. I stand before and stare down the spring intruder trapped in my garage, wishing it would go away. Disappear into the woods. I want no part or guilt in its destruction. Yet know what a threat it poses: how it might gnaw away the center post of the garage, target my dog’s inquiring muzzle with quills, claim territory too close to mine. A gun might be the only answer, instead (cowardly? in deference to the pure wonder of Ma Nature ?) I take a broom to it, sweeping the prickly creature back into the woods. Not the “merry month” but the wild month of May. What we have been waiting for most is the signal color of green. Green, green, green. It ain’t easy waitin’ for green. First sighting along the roadsides in April…but green getting a truer hold of itself in May. Plants beginning to define themselves by certain shades of green, patterns of growth, shapes of leaf, and, most miraculous in May, flowering buds. 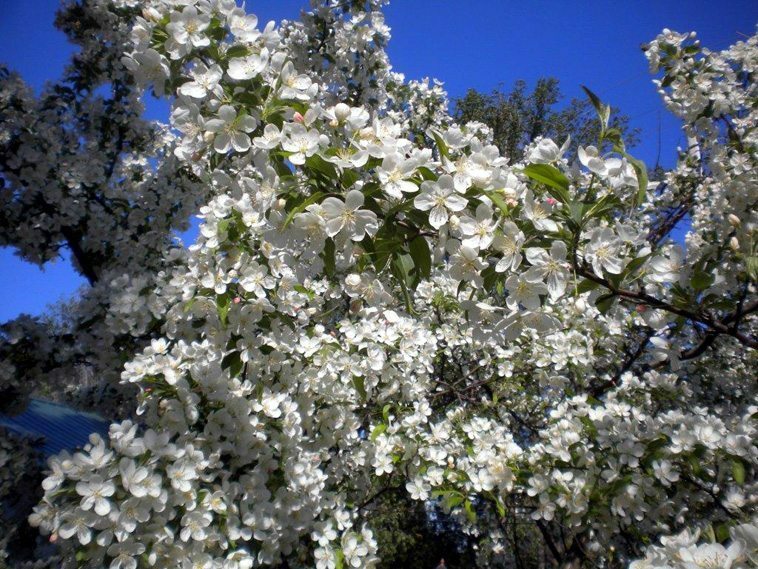 This is the month when cherry and apple orchards explode in white blossoms. When tufts of trillium re-emerge from their hiding places in the woods, around birch and maple, trumpeting the forest floor with large white flowers, three-petaled, that bow and fold and fade to pink and lavender in the weeks to follow. The month when tiny forget-me-nots light up the earth in luminous blue patches that linger in the memory of the whitest winters past or forthcoming. 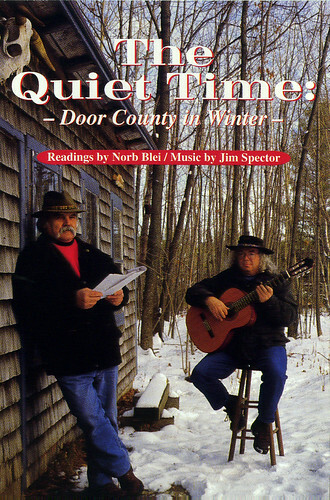 The month, when nearing its end, trees finally unfurl themselves in the blue skies with canopies of full leaves and emerald light, the branches of maple, beech, pine, oak, birch intermingled in the woods, diffusing light upon the forest floor among flowering plants and the remnants of last fall’s leaves…the roadsides, the far woods, the horizon thick with variations on the theme of green. Welcome color, welcome green, welcome the breath of blossom scent, welcome May. Words of welcome back on the lips, in the heart of the man of May who, despite erratic temperatures, warm sweaters, cold rain, sees the earth turning, turning, turning in his eyes…inevitably turning green, in his favor, once again. Though not for long. Thanks for the photos and the memories, does anyone ever forget their roots?…two.thousand miles away and remembering the fragrance of lilacs lures me to the “fly anytime” page of Southwest Airlines. May was the month I walked the railroad tracks on the way home from school to look for wild asperigus under the telegraph wires. And now I drive the lawn tractor along the fenceline! A most welcome relief from the evening news. Thank you. You’re behind us. Should come up there for a second spring! Reminds the over-civilized reader of the sacredness of nature.